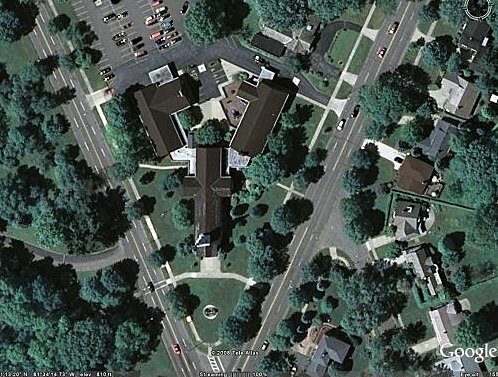 Our building is located at the intersection of Lee and Monticello Boulevards, across from Forest Hill Park, on a triangle of land donated by John D. Rockefeller. Find rental information and floor plans, plan a wedding, and get help with funerals and memorial services. As with many buildings that grew and expanded over many decades, our large facility wasn’t very accessible to those with mobility challenges. But with a few strategic improvements, our multi-level building is much more available than before. Outside curbs were removed, ramps were built, and automatic door openers installed. An inside ramp was added to the Pavilion foyer to eliminate stairs between the Fellowship Hall wing and the Sanctuary. A private unisex bathroom was added and a chair lift was installed to open all three levels of the Education Wing to wheelchair access. No 60-year-old building is perfect, however, and we’re always looking for new ways to make our facilities are as welcoming as we are. We welcome your input.